In some ways, Botox and Juvéderm are alike, and in other ways, they are completely different. They both help get rid of wrinkles without the use of surgery and help restore youthfulness to the face. Botox and Juvéderm are both in-office procedures and only take 30 minutes or less to complete. They are very effective and results can be seen quickly with both techniques. The biggest difference is the areas of the face that they can help improve and the way they do it. Botox is most effective on the upper face and Juvéderm is most effective on the mid and lower parts of the face. You can use Botox and Juvéderm together or on their own depending on the results you desire. Why Choose Morgan-Hill Dental Care for Botox & Juvéderm? Botox helps rid wrinkles by relaxing the muscles and preventing them from contracting. This method can prevent permanent wrinkle lines from forming and keep the face looking younger for a longer period of time. Botox is very effective and safe. Botox on average last between 3-6 months for most patients. Are the effects of Botox permanent? No, Botox will last approximately 3-6 months. If you do a treatment of Botox and decide you don’t like it, your skin will return to what it looked like previous to treatment. Which areas of the face are recommended for treatment of Botox? 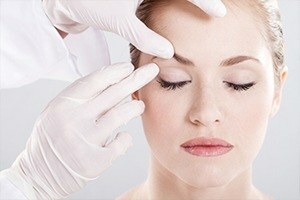 Botox works best on your upper face – your forehead, between the brows and the areas around your eyes. What should I expect during a Botox procedure? 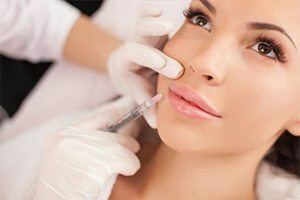 Botox is a quick procedure – only taking a few minutes! Muscles are injected with a fine needle, causing only slight discomfort. Botox keeps certain muscles from receiving signals from the nerves. This keeps the muscles from contracting and allows the wrinkles on the face to relax. The result is younger-looking skin and fewer wrinkles. Juvéderm works as a filler. As we age, we lose fat in our face. The diminishing of this facial fat causes deeper parenthesis around the mouth, flattened cheeks, and wrinkled lips. This results in a sagging appearance in our face rather than a full youthful face. Juvéderm can really make a difference in a person’s overall appearance and help them look years younger! Juvéderm typically lasts 6-12 months, although in some patients the effects can last even longer. What is a benefit of using Juvéderm as opposed to other products? Juvéderm, unlike some other products, is safe for all types of skin complexions. Plus, you’ll see results right away! In addition, Juvéderm is composed of hyaluronic acid – which is also found throughout our bodies. Juvéderm works to hydrate the skin, as well as giving volume to the skin. How soon can I return to regular activities after getting a Juvéderm treatment? Most people are able to continue their regular activities the same day of treatment or the following day. Can I wear makeup following the Juvéderm treatment? Yes! Although you should not massage the treated area, normal makeup application is fine. No alcohol should be applied to the face following treatment and sunscreen is recommended if you are exposed to the sun. Juvéderm and Botox treatments have made a difference for several individuals who have been amazed at the results! If you are looking for Juvéderm or Botox treatments in Gorham, ME, call our dental office today! We can answer any questions you may have and help you set up an appointment.